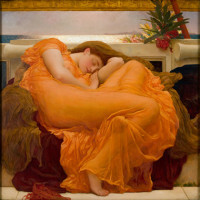 One of the most famous nineteenth century British artists, Frederic, Lord Leighton, was born in Scarborough in 1830. He received artistic training in London and Florence and also spent time four years in Paris. 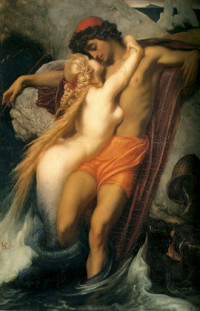 He returned to London in 1860 and began associating with the Pre-Raphaelites. He became an associate at the Royal Academy in 1864 and then its President in 1878. 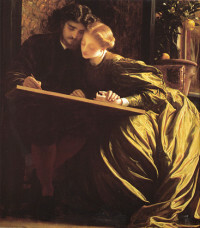 Leighton worked in both sculpture and painting; his work frequently depicted biblical, classical, and historical subjects. He was knighted in 1878 and was the first artist to be granted a peerage in 1896, becoming Frederic, Lord Leighton, Baron of Stretton. He passed away on January 24, 1896.